This article is about the year 1848. For the film, see 1848 (film). Wikimedia Commons has media related to 1848 . 1848 ( MDCCCXLVIII ) was a leap year starting on Saturday of the Gregorian calendar and a leap year starting on Thursday of the Julian calendar , the 1848th year of the Common Era (CE) and Anno Domini (AD) designations, the 848th year of the 2nd millennium , the 48th year of the 19th century , and the 9th year of the 1840s decade. As of the start of 1848, the Gregorian calendar was 12 days ahead of the Julian calendar, which remained in localized use until 1923. The German revolutions of 1848–49, the opening phase of which was also called the March Revolution, were initially part of the Revolutions of 1848 that broke out in many European countries. They were a series of loosely coordinated protests and rebellions in the states of the German Confederation, including the Austrian Empire. The revolutions, which stressed pan-Germanism, demonstrated popular discontent with the traditional, largely autocratic political structure of the thirty-nine independent states of the Confederation that inherited the German territory of the former Holy Roman Empire. The Frankfurt Parliament was the first freely elected parliament for all of Germany, elected on 1 May 1848. February 2: The Treaty of Guadalupe Hidalgo is signed, ending the Mexican–American War and ceding all the Republic of Texas's territorial claims to the United States for $15m. February 21: Karl Marx publishes The Communist Manifesto . 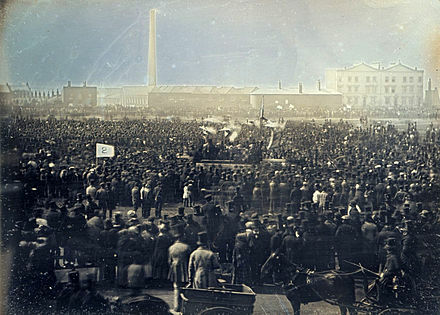 April 10: "Monster Rally" of Chartists held on Kennington Common in London; the first photograph of a crowd depicts it. January 3 – Joseph Jenkins Roberts is sworn in, as the first president of the independent African Republic of Liberia. 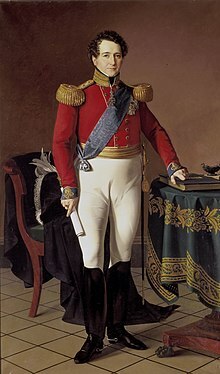 January 12 – The Palermo rising erupts in Sicily, against the Bourbon Kingdom of the Two Sicilies. January 24 – California Gold Rush: James W. Marshall finds gold at Sutter's Mill, in Coloma, California. Construction of the Washington Monument begins in Washington, D.C.
John C. Frémont is court-martialed on grounds of mutiny and disobeying orders. The verdict is set aside by United States President James K. Polk, but Frémont retires to California Territory. The Washington Monument is an obelisk on the National Mall in Washington, D.C., built to commemorate George Washington, once commander-in-chief of the Continental Army and the first President of the United States. 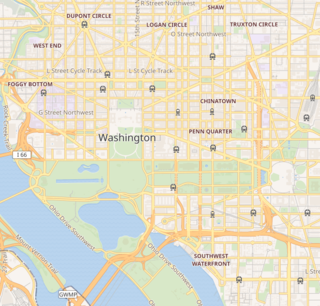 Located almost due east of the Reflecting Pool and the Lincoln Memorial, the monument, made of marble, granite, and bluestone gneiss, is both the world's tallest predominantly stone structure and the world's tallest obelisk, standing 554 feet 7 11⁄32 inches (169.046 m) tall according to the National Geodetic Survey or 555 feet 5 1⁄8 inches (169.294 m) tall according to the National Park Service. It is the tallest monumental column in the world if all are measured above their pedestrian entrances. It was the tallest structure in the world from 1884 to 1889, when it was overtaken by the Eiffel Tower in Paris. John Charles Frémont or Fremont was an American explorer, politician, and soldier who, in 1856, became the first candidate of the Republican Party for the office of President of the United States. During the 1840s, when he led five expeditions into the American West, that era's penny press and admiring historians accorded Frémont the sobriquet The Pathfinder. James Knox Polk was the 11th president of the United States from 1845 to 1849. He previously was speaker of the House of Representatives (1835–1839) and governor of Tennessee (1839–1841). A protégé of Andrew Jackson, he was a member of the Democratic Party and an advocate of Jacksonian democracy. Polk is chiefly known for extending the territory of the United States during the Mexican–American War; during his presidency, the United States expanded significantly with the annexation of the Republic of Texas, the Oregon Territory, and the Mexican Cession following the American victory in the Mexican–American War. 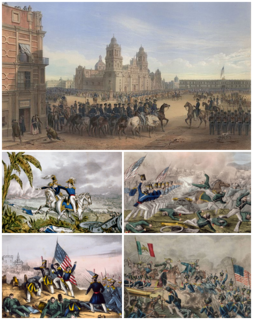 Mexican–American War – Treaty of Guadalupe Hidalgo: Mexico cedes virtually all of what becomes the Southwestern United States to the U.S. The unincorporated California Territory becomes a provisional official possession; it is never organized by the United States Congress as a territory, but directly passes the requirements for statehood in 1850. John Henry Newman founds the first Oratory in the English-speaking world, when he establishes the Birmingham Oratory at 'Maryvale', Old Oscott, England. The Southwestern United States, also known as the American Southwest, is the informal name for a region of the western United States. Definitions of the region's boundaries vary a great deal and have never been standardized, though many boundaries have been proposed. For example, one definition includes the stretch from the Mojave Desert in California to Carlsbad, New Mexico, and from the Mexico–United States border to the southern areas of Colorado, Utah, and Nevada. The largest metropolitan areas are centered around Phoenix, Las Vegas, Tucson, Albuquerque, and El Paso. Those five metropolitan areas have an estimated total population of more than 9.6 million as of 2017, with nearly 60 percent of them living in the two Arizona cities—Phoenix and Tucson. February 17 – John Bird Sumner is nominated as archbishop of Canterbury. February 21 – Karl Marx and Friedrich Engels publish The Communist Manifesto (Manifest der Kommunistischen Partei) in London. February 23 – François Guizot, Prime Minister of France, resigns; 52 people from the Paris mob are killed by soldiers guarding public buildings. February 24 – Louis Philippe I, King of the French, abdicates in favour of his grandson, Prince Philippe, Count of Paris, and flees to England after days of revolution in Paris. The French Second Republic is later proclaimed by Alphonse de Lamartine, in the name of the provisional government elected by the Chamber, under the pressure of the mob. March 2 – The March Disturbances break out in Sweden. March 11 – Louis-Hippolyte Lafontaine and Robert Baldwin became the first Joint Premiers of the Province of Canada to be democratically elected, under a system of responsible government. March 13 – Prince Klemens von Metternich gives up office as State Chancellor and Foreign Minister of the Austrian Empire. March 15 – Hungarian Revolution of 1848: The Hungarian young revolutionary intellectuals, led by Sándor Petőfi, Mór Jókai, etc., called the Márciusi Ifjak (Young men of March) organize peaceful mass demonstrations in Pest, forcing the city's Habsburg authorities to accept the 12 Points: the Hungarian claim for freedom and self-determination within the Habsburg Empire. On the same day, Lajos Kossuth and representatives of the Diet of Hungary go to Vienna, and force the emperor and Hungarian king Ferdinand I of Austria to accept Hungarian claims for self-determination within the empire. In a Berlin barricade, fighting between revolutionaries and royalist forces marks the culmination of the German revolutions of 1848–49. Hundreds are killed in the clashes, but King Frederick William IV of Prussia is forced to honour the dead, and appoint a liberal government. The Boston Public Library is founded by an act of the Great and General Court of Massachusetts. March 22 – The Republic of San Marco comes into existence in Venice. March 23 – The settlement of Dunedin, New Zealand is founded, with the arrival of settlers from Scotland on board the John Wickliffe . March 24 – The First Schleswig War (German: Schleswig-Holsteinischer Krieg, or Three Years' War (Danish: Treårskrigen)), a military conflict in southern Denmark and northern Germany rooted in the Schleswig-Holstein Question, contesting the issue of who should control the Duchies of Schleswig and Holstein, begins. March 29 – Queen's College, London, founded, the world's first school to award academic qualifications to young women. Joseph Jenkins Roberts was the first (1848–1856) and seventh (1872–1876) President of Liberia. Born free in Norfolk, Virginia, US, Roberts emigrated to Liberia in 1829 as a young man. He opened a trading store in Monrovia, and later engaged in politics. When Liberia became independent on July 26, 1847, Roberts was elected the first black American president for the Republic of Liberia, serving until 1856. In 1872 he was elected again to serve as Liberia's seventh president. A Chartist 'Monster Rally' is held in Kennington Park London, headed by Feargus O'Connor. A petition demanding the franchise is presented to the Parliament of the United Kingdom. The Illinois and Michigan Canal is completed. April 11 – The first Hungarian national government is formed, under the leadership of Lajos Batthyány. The April Laws, the first democratic revolutionary laws in Hungary, are promulgated. These laws are the first modern laws in Hungary, which put an end to the feodal privileges of the nobility and serfdom, proclaim the freedom of religion, the freedom of the press, the foundation of the Hungarian National Bank, organises the first democratic election in Hungary based in popular representation, national guard, reunion of Transylvania with Hungary, etc. The Habsburg emperor, and Hungarian king Ferdinand I of Austria, ratify these laws, which form the base of modern Hungary. April 18 – The Second Anglo-Sikh War breaks out in the Punjab. April 29 – Pope Pius IX publishes an allocution announcing his refusal to support Piedmont-Sardinia in its war with Austria, and dispelling hopes that he might serve as ruler of a pan-Italian republic. The allocution, by which Pius is seen to withdraw his moral support for the Italian unification movement, is a key first step in the soon-to-be crushing reaction against the revolutions of 1848. Radicals invade the French Chamber of Deputies. May 18 – The first German National Assembly (Nationalversammlung) opens in Frankfurt, Germany. May 19 – The Treaty of Guadalupe Hidalgo, ending the Mexican–American War, is ratified by the Mexican government (cf. February 2, above). May 29 – Wisconsin is admitted as the 30th U.S. state. June – The Serbians from Vojvodina start a rebellion against the Hungarian government. June 2 – 12 – The Prague Slavic Congress brings together members of the Pan-Slavism movement. June 17 – The Austrian army bombards Prague, and crushes a working class revolt. June 21 – Wallachian Revolution of 1848: The Proclamation of Islaz is made public, and a Romanian revolutionary government led by Ion Heliade Rădulescu and Christian Tell is created. 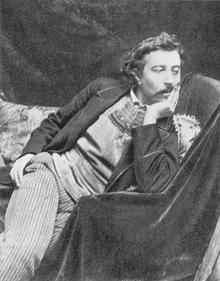 June 22 – The French government dissolves the national workshops in Paris, giving the workers the choice of joining the army or going to workshops in the provinces. The following day, the June Days Uprising begins in response. July 26: Matale Rebellion begins in Sri Lanka. July 5 – The Hungarian national revolutionary parliament starts to work. July 19 – Women's rights – Seneca Falls Convention: The 2-day Women's Rights Convention opens in Seneca Falls, New York and "Bloomers" are introduced at the feminist convention. The Matale Rebellion breaks out, against British rule in Sri Lanka. The University of Wisconsin–Madison is founded. August 6 – HMS Daedalus reports a sighting of a sea serpent. 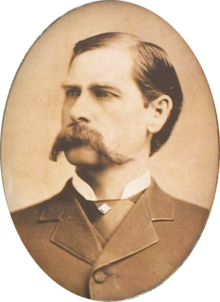 August 14 – American President James K. Polk annexes the Oregon Country, and renames it the Oregon Territory as part of the United States. August 17 – The Independent Republic of Yucatán officially unites with Mexico, in exchange for Mexican help in suppressing a revolt by the indigenous Maya population. August 19 – California Gold Rush: The New York Herald breaks the news to the East Coast of the United States that there is a gold rush in California (although the rush started in January). August 24 – The U.S. barque Ocean Monarch is burnt out off the Great Orme, North Wales, with the loss of 178, chiefly emigrants. August 28 – Mathieu Luis becomes the first black member to join the French Parliament, as a representative of Guadeloupe. September 11 – The Croatian army of Josip Jelačić, encouraged in secret by the Habsburg government, crosses the Drava River and attacks Hungary, with the goal of ending the revolution in that country. 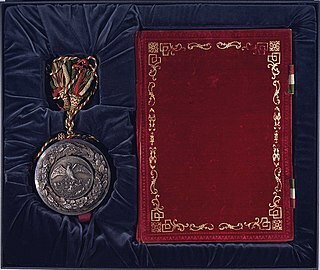 September 12 – One of the successes of the Revolutions of 1848, the Swiss Federal Constitution, patterned on the US Constitution, enters into force, creating a federal republic, and one of the first modern democratic states in Europe. September 13 – Vermont railroad worker Phineas Gage survives a 3-foot-plus iron rod being driven through his head. September 16 – William Cranch Bond and William Lassell discover Hyperion, Saturn's moon. September 25 – The Hungarian king and Habsburg emperor Ferdinand V refuses to recognise the Hungarian government, led by Lajos Batthyány. 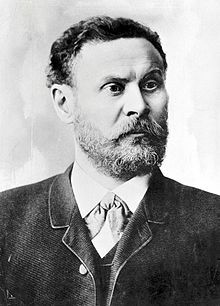 The Batthyány government resigns and the National Defence Committee is formed, which is a temporary crisis government, totally independent from Vienna, under the leadership of Lajos Kossuth. September 26 – The University of Ottawa is founded in Canada as the College of Bytown, a Roman Catholic institution. September 29 – Battle of Pákozd: The Hungarian revolutionary army, led by János Móga, defeats the Croatian army of Josip Jelačić, forcing him to retreat towards Vienna. October 2 – The National Defence Committee (Országos Honvédelmi Bizottmány), led by Lajos Kossuth, becomes the executive power in Hungary, after the resignation of the Lajos Batthyány government. October 18 – Elizabeth Gaskell's first novel, Mary Barton: A Tale of Manchester Life, is published anonymously in London. October 28 – In Catalonia, Spain, the Barcelona–Mataró railroad route (the first to be constructed in the Iberian Peninsula) is inaugurated. October 30 – Battle of Schwechat: Hungarian forces which crossed the Austrian border, in order to unite with the Viennese revolutionaries, are defeated by the imperial army, led by Alfred I, Prince of Windisch-Grätz and Josip Jelačić. October 31 – Vienna is occupied by the imperial forces led by Alfred I, Prince of Windisch-Grätz, who crushes the revolution here. November 1 – In Boston, Massachusetts, the first medical school for women, The Boston Female Medical School (which later merges with Boston University School of Medicine), opens. November 3 – A new Constitution of the Netherlands (drafted by Johan Rudolph Thorbecke), severely limiting the power of the monarchy and introducing representative democracy, is proclaimed. November 4 – France ratifies a new constitution. The Second Republic of France is set up, ending the state of temporary government lasting since the Revolution of 1848. November 7 – United States presidential election, 1848: Whig Zachary Taylor of Louisiana defeats Democrat Lewis Cass of Michigan, in the first U.S. presidential election held in every state on the same day. November 24 – Pope Pius IX flees Rome in disguise for Naples. December 2 – Emperor Ferdinand I of Austria abdicates in favor of his nephew, Franz Joseph, who will serve as Emperor of Austria and King of Hungary and Bohemia, until his death in 1916. December 6 – The Austrian imperial army, led by Franz Schlik, attacks Hungary. December 10 – Prince Louis-Napoléon Bonaparte is elected first president of the French Second Republic. December 16 – The main Austrian imperial forces, led by Alfred I, Prince of Windisch-Grätz, cross the Hungarian border. December 18 – Punta Arenas, the first major settlement in the Strait of Magellan, is founded. President Napoleon III takes his oath of office in front of the French National Assembly. Slavery is abolished in Réunion (this day is celebrated every year from 1981). December 25 – Hungarian forces, led by Józef Bem, enter Kolozsvár (Cluj), after defeating the Austrian armies in northern Transylvania. December 30 – Battle of Mór: The imperial army, led by Josip Jelačić, defeats the Hungarian army, led by Mór Perczel. Admiral Nevelskoy demonstrates that the Strait of Tartary is a strait. Labuan is made a British Crown colony. A cholera epidemic in New York kills 5,000. The University of Mississippi admits its first students. Geneva College (Pennsylvania) is founded as Geneva Hall in Northwood, Logan County, Ohio. Rhodes College is founded in Clarksville, Tennessee as the Masonic University of Tennessee. The Shaker song "Simple Gifts" is written by Joseph Brackett in Alfred, Maine. Richard Wagner begins writing the libretto that will become Der Ring des Nibelungen ("The Ring of the Nibelung"). 1849 (MDCCCXLIX) was a common year starting on Monday of the Gregorian calendar and a common year starting on Saturday of the Julian calendar, the 1849th year of the Common Era (CE) and Anno Domini (AD) designations, the 849th year of the 2nd millennium, the 49th year of the 19th century, and the 10th and last year of the 1840s decade. As of the start of 1849, the Gregorian calendar was 12 days ahead of the Julian calendar, which remained in localized use until 1923. The Prime Minister of Hungary is the head of government in Hungary. The Prime Minister and the Cabinet are collectively accountable for their policies and actions to the Parliament, to their political party and ultimately to the electorate. The current holder of the office is Viktor Orbán, leader of the Fidesz – Hungarian Civic Alliance, who has served since 29 May 2010. Richard de Beaufré comte de Guyon was a British-born Hungarian soldier, general in the Hungarian revolutionary army and Turkish pasha. Count Mihály Ádám György Miklós Károlyi de Nagykároly was briefly Hungary's leader from 1918 to 1919 during the short-lived First Hungarian People's Republic. He served as Prime Minister between 1 and 16 November 1918 and as President between 16 November 1918 and 21 March 1919. The Battle of Mór was a battle in the Hungarian Revolution of 1848, fought on 30 December 1848 between Austria and Hungarian insurgents. The Austrians were led by Croatian Ban Josip Jelačić, while the Hungarians were led by Mór Perczel. The Austrians were victorious and Buda lost its independence. General Lázár Mészáros(English: Lazarus Mészáros), was the Minister of War during the 1848 Hungarian Revolution. Records of Prime Ministers of Hungary from 1848 to the present. ↑ Stoica, Vasile (1919). The Roumanian Question: The Roumanians and their Lands. Pittsburgh: Pittsburgh Printing Company. p. 23. 1 2 Palmer, Alan; Veronica (1992). The Chronology of British History. London: Century Ltd. pp. 269–270. ISBN 0-7126-5616-2. ↑ Magyar Nemzet: Fejőszék Százhatvan éve irtották ki Nagyenyedet a román felkelők. "1848". Timeline. 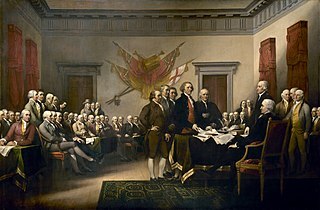 US: Digital Public Library of America. Archived from the original on June 5, 2014.